Reads a lot. Rants a lot. Rambles a lot more. Approach with caution. The only reason I kept reading past the hundredth page was because I kept telling myself that if I paid a week’s worth of savings for a book, I was damn well going to finish it. 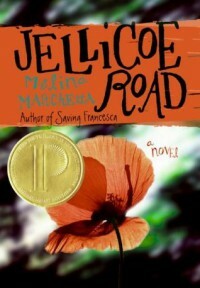 Jellicoe Road was frustrating, confusing and its narrative was deliberately hard to follow. I found the main character, Taylor Markham, unlikeable and she had a tendency to wallow in self-pity. And yet. And yet this book made me cry without even knowing the reason why, it made me ache for the main characters, it made me remember all the friends I had as a child. The ones who I made treehouses with, explored new places with, the ones that made me feel as if I was invincible. Taylor’s development throughout the book was one of the best I’ve read. Really, this is all just the long way of saying, “I have no idea what to feel about this book”. Jellicoe Road is a strange book. But it is also strangely beautiful. Reading it felt less like reading a book and more like getting to know a person. Namely, Taylor who was abandoned by her mother when she was eleven-years-old. I need to give kudos to Melina Marchetta, who used the first-person narrative to great effect; Taylor’s narration revealed just how much her mother’s abandonment affected her. She made for a sullen and cynical narrator, she was snobbish and rude to her peers. But she was also desperate for affection, and afraid to trust because she thinks that she’ll be hurt again. Taylor’s thoughts were often chaotic, cycling between wanting to be left alone to wanting to be held dear by someone, specifically by Hannah, her caretaker. All this made Taylor’s character, that of a confused and hurt teenager, all the more believable. This wasn’t always a good thing, though. This kind of prose made the story hard to follow. The reader was given absolutely nothing to go on at the beginning of the story, presumably because the narrator, Taylor, already knew all the things that the reader wasn't privy to. While it made sense that a character who already knows about territory wars won’t go into internal explanations about them, it also made for a muddled beginning. The first chapter was basically just me going: Who are the Cadets? Who are the Townies? What are the rules? What part of Jellicoe belongs to which faction? It took too long before these questions were actually answered, and by the time they were answered, I didn’t care about the questions anymore. But it gets better, as much as that sounds like an excuse, it gets better. As I read further and further into the book, it felt like I was painstakingly peeling away the many layers that made up Taylor Markham. Jellicoe Road was at its most fascinating when Taylor’s barriers come down and the reader was allowed to see into her thoughts, her insecurities, when she was at her rawest and most vulnerable. These were the times were I just had to put down the book to cry, because Taylor felt so painfully human, because I saw a bit of myself in her. The book had a weak plot, but its characters more than made up for it. 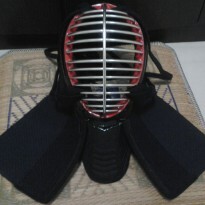 Its strength lay in its characters, both major and minor ones. I never really cared about territory wars and the mystery of Hannah had a way of fading into the background, but I wanted to know more about Taylor, about her relationship with Jonah Griggs, her friendship with Ben and Raffy. Melina Marchetta’s characters were wonderfully three-dimensional, complex and they resonate. These are the type of characters that made it hard for me to close the book and say goodbye. But as much as I wanted to give this book five stars, I can’t. A five star read, for me, shouldn’t be frustrating or confusing. It shouldn’t make me feel as if reading was a chore, no matter how much later chapters made up for it. This book wasn’t perfect, but it had that something that gripped me as a reader, the same something that had me reading it until 3 am in the morning, that made me laugh and cry and feel for these characters. I purchased this book on a whim, because I felt that I needed to read something “different”, and Melina Marchetta certainly delivered. The original title of this book was "On the Jellicoe Road" but my cover simply said "Jellicoe Road". I have no idea where the "On the" part of the title went.